Allegra is a modern jewel in the heart of Glen Iris. Allegra is a modern jewel in the heart of Glen Iris. 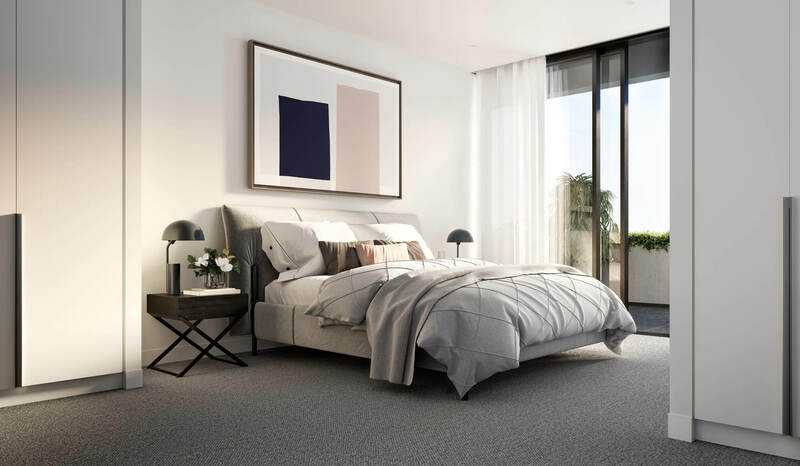 Melbourne Design Award winner, Ewert Leaf, has partnered with Nash Management Group to create these dynamic and timeless oversized 2 & 3 bedroom apartments, starting from $945,000. Allegra is a private sanctuary in the premium suburb of Glen Iris, with access to all the luxuries on offer in Malvern, Armadale, and surrounding southeastern suburbs. The collective of experts responsible for this new development have centred their ambitions on a philosophy of home is not a place, it’s a feeling. These experienced residential pioneers understand that difference is found in the details and a home must speak to your culture and lifestyle. When these elements are combined the result is an aesthetically timeless but relevant development in a world where style and taste are constantly shifting. The facade of Allegra has a theme of organised asymmetry. It has been specifically designed to emphasise seven modular yet discrete elements of varied proportion which allows a generous amount of light through the property – one of the added benefits of facing north. Elements of verdure weave throughout the external design, creating an ambience of natural serenity. Existing trees have been preserved and complemented by a carefully considered variety of plants, selected by renowned landscape architect, John Patrick, and his team. The linear details featured in Allegra’s facade link to the interiors, resulting in a seamless design. Elegant, modern and deceptively simple, these homes are built with bespoke joinery detailing in an open plan kitchen with a marble island benchtop, featuring the best of Miele appliances. The kitchen opens onto a living room that will surely be the centre of each home. Customise the settings to create mood-lighting for entertaining. Host friends in a comfortable and refined atmosphere, enhanced by the cozy warmth of a fireplace. In warmer weather, open up the doors to a beautiful, verdant balcony overlooking stunning views of Melbourne’s CBD to the north-west. The bathrooms feature expertly applied marble benchtops that are complemented by a charismatic, grey terrazzo tiling. There is cleverly hidden shelving next to a deep, freestanding bathtub – perfect for soaking in at the end of a long day. Allegra is nestled in the heart of a community with a substantial shopping precinct, ample restaurants, and cafes as well as schools and recreation centres. Take a stroll through Malvern Public Gardens or head over to Glenferrie Road from some retail therapy. Take a break from shopping and stop by the Ministry of Chocolate and wrap your hands around a warm mug of hot chocolate or coffee. Allegra residences are the considered result of expertly composed floor plans, curated with an opulent suite of high-end finishes, selected to be the best. Lives will be transformed in these Glen Iris homes. For more information or to enquire about Allegra, click here.